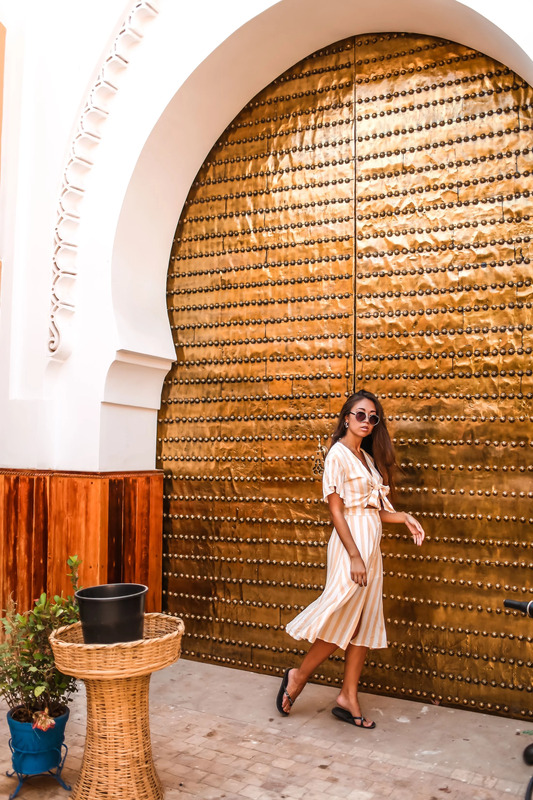 I don't know what I love the most - my new dress or this golden door? Probably both. This is the perfect summer dress, the stripes and the soft fabric, and the design with the bow and cutout. It's from MVN the label! 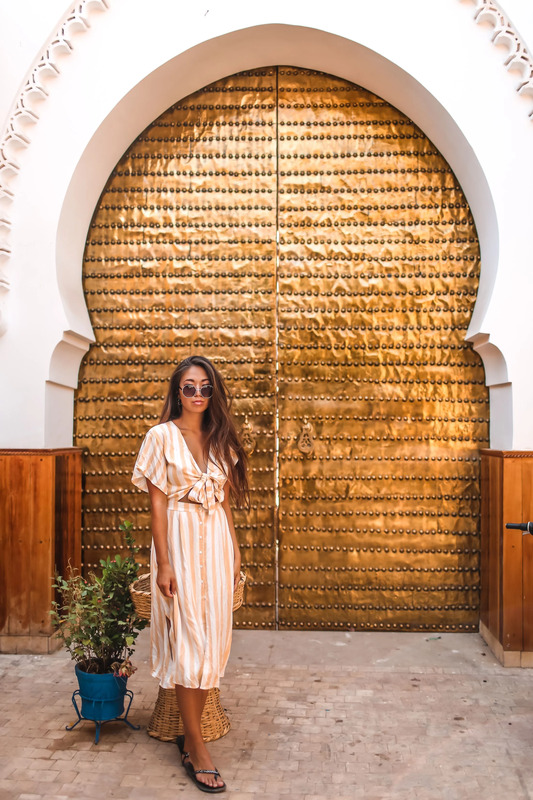 Love to stroll around in it here, we are off for the Souk market and our first mission is to get a cold freshly pressed juice in one of the stands on the square. Then we got lots of work to do!